The Petersens are an award-winning bluegrass band in their ninth season of shows at the Little Opry Theatre in the Branson IMAX Entertainment Complex. In 2015, the band received international attention when banjo player, Ellen Petersen, competed in the singing reality TV show, American Idol, and placed in the top 48. The family has toured throughout the United States, Canada, and recently completed their third international tour to Ireland. 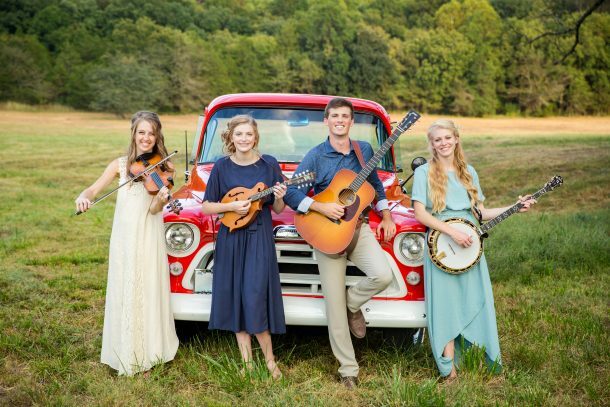 Audiences will be entertained as the band performs bluegrass standards, gospel favorites, and are sure to laugh at the sibling humor on stage. The intimate setting of the Little Opry Theatre and The Petersens will make any audience feel like a part of the family. Click HERE for tickets and more information about our show. For a complete list of show dates for our Branson show and special performances, click on the Show Dates tab. "You make me proud to be from this great land."